What does World Cerebral Palsy Day stand for, and what does it hope to achieve? Abigail Ringer explains. Today, like thousands of people across the world, I celebrate World Cerebral Palsy Day. It’s an opportunity to celebrate the lives of the 17 million people with cerebral palsy, and focus on areas for change that will have a positive impact on these people. In the UK around 1 in 400 babies are born with cerebral palsy. 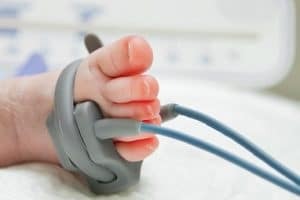 As part of a team working with families affected by cerebral palsy, I regularly look into traumatic births or complicated pregnancies to see whether this condition could have been prevented. Where we are able to show that with reasonable medical care the condition was preventable, we work alongside families to ensure that their child has the best support in place for the rest of their life. This work has given me a real appreciation of the challenges that many people with cerebral palsy face and this gives me cause to celebrate World Cerebral Palsy Day and the positive impact it has across the globe. Cerebral palsy describes disorders that, as a result of brain damage, affect movement. There are different types of cerebral palsy, depending on where the brain is damaged and the extent of that damage. People with cerebral palsy are affected in a range of ways day-to-day: whilst some people with cerebral palsy cannot walk or feed themselves, others can play football. What is World Cerebral Palsy Day, and what does it aim to do? World Cerebral Palsy Day takes place today (Friday 6 October 2017) and is co-ordinated by the World Cerebral Palsy initiative. Their mission is to improve the lives of people with cerebral palsy by raising awareness; connecting organisations across the world; and setting tangible targets in key areas for change. One of the key areas for change is in the area of civil rights. In some parts of the world, the rights of people with disabilities are well recognised and protected, but in others disability still carries a huge stigma. For example, the story of a doctor in Vietnam, Dr Yen-Thanh Mac and her mission to change the term for cerebral palsy in her country has been highlighted by World Cerebral Palsy Day. In Vietnam, the term ‘Bai Nao’, which translates as ‘brain failure’, is used to describe cerebral palsy. Recognising the unjustified negative connotations associated with this name, Dr Mac set about formally changing the name to ‘CP’, avoided the full term ‘cerebral palsy’ which is quite hard to pronounce in Vietnamese. This target area for change focuses on the fact that living life to the full involves making a contribution. The target aims to ensure that all people with cerebral palsy are able to make their contribution. On the subject of making a contribution, I really enjoyed hearing about Laura O’Reilly who founded Fighting Chance, which helps people with disability access opportunities when they finish school. “Shane was three years younger than me. Growing up, we were all afforded equal opportunities, but when we approach the post-school period it became clear that society was not going to do the same”. Today, Fighting Chance supports 140 people in recreational and employment opportunities. Another key target is to increase the understanding of the medical issues surrounding Cerebral Palsy by addressing the causes, achieving earlier diagnosis and providing effective treatment. I read about a project in South Africa where a group of selected parents and grandparents have been trained to deliver workshops to other parents in their communities. These workshops educate parents on treating their children, to overcome the lack of therapy currently available. Over the last 2 years, 1429 families have been reached working in 26 rural sites across South Africa and Lesotho. The causes of cerebral palsy can be complex, occurring before, during or shortly after birth. Sometimes the cause is preventable and other times it remains unknown. In the developing world, there are a larger number of preventable cases of cerebral palsy which could be avoided with better access to good medical care and this is one of the target areas for change. It’s something we struggle with, even here in the UK; the number of cases of cerebral palsy per year is nearly at the same level it was a decade ago (according to a report by NHS Resolution published last month). As a condition that can affect you no matter where you live in the world, it’s up to all of us to raise awareness, help improve the lives of sufferers, and campaign for better prevention – that is why I’m observing World Cerebral Palsy Day today.